Does your doctor rush through appointments, leaving you with questions? Do you have trouble finding doctors who will coordinate your care? Have you been told your undiagnosed symptoms are all in your head? Have you suffered from a medical error, like millions do each year? Do you wonder why people get sicker from the drugs they take, or why we see ads on TV for drugs we patients can’t purchase without a prescription? Do you wish you could simply get the medical care you need, when you need it, effectively and efficiently? You Bet Your Life! 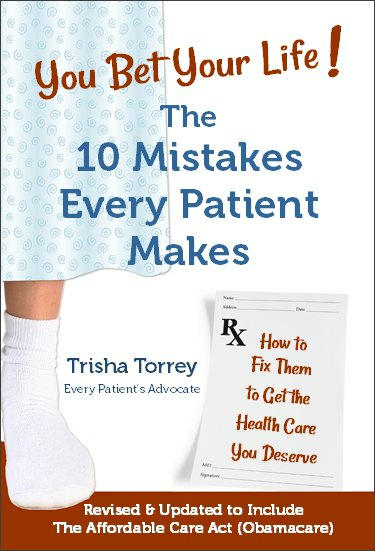 The 10 Mistakes Every Patient Makes provides the answers to these challenges and more. Trisha Torrey knows the dysfunction well. Diagnosed with an aggressive, terminal form of cancer and told she had only a few months to live, she made plenty of mistakes herself at first. But once she figured out how to maneuver through the healthcare system, she instead “recovered” quite nicely. Today she writes and speaks internationally on patient empowerment and advocacy topics, teaching the lessons and skills she learned to patients who need them. Part exposé and part toolkit, You Bet Your Life! explains why the system is so dysfunctional and how that hurts patients. You’ll read true stories shared by people like you who have suffered from substandard care. Then you’ll find tactics you can use to get the help you or a loved one needs. Great medical care is available for those who know how to pursue it effectively. You Bet Your Life! 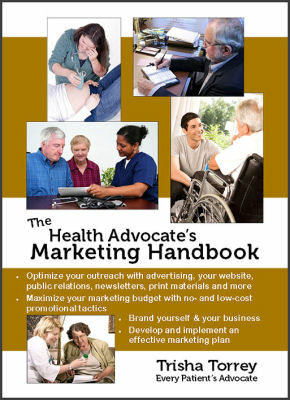 will empower you with the tools and confidence you need to find your best medical outcomes.